A little list of odd and interesting things that I think are worth sharing now. I might as well start by sharing the United Nations (flat earth) flag. In the Flat Earth world view the edge is said to be Antarctica (not shown on the map) - which surrounds the earth as an impenetrable wall of ice, represented by the final circle on the map. It might explain why penguins are dressed like little bouncers. To be fair it's quite a cool map though. One of the oddest things I've noticed when looking into Flat Earth Theory is the fact that the Chinese still believed the earth was flat in the 17th century. The Chinese historically have been quite advanced, so this was a bit of a surprise. It makes me think that maybe the historical record is a little bit muddled, and that maybe Europeans weren't as quick to adopt the globular model as we tend to think. "To one who has been conversant only with illiterate persons, or such as understand not the principles of Astronomy and Geometry,...who can scarce imagine the Earth is globous, but...imagine it to be a round plain covered with the Sky as with a Hemisphere"
This would suggest that the idea of a Flat Earth was quite common even then. Another odd thing is the fact that the oldest extent globe, the Erdapfel, was made in 1492 - the exact same year that Columbus discovered the new world. Quite coincidental. The globe doesn't depict the Americas though as Columbus didn't return to Europe until 1493. Of course, it's an often repeated "fact" that Columbus & Co proved the world was round by sailing around it. However, as Flat-Earthers correctly point out, travelling around the world in a circle doesn't prove it's a globe as you can make the same circular journey on a flat map. As the above UN map shows. You'd need to go around north-south as well as east-west to prove it globular. So again, this would suggest the history is maybe a little suspect. This next thing I'm mentioning is also a little odd. When I was reading about the Geocentric model of the universe on Wikipedia I found out that it's referred to as the Yellow Minion. Now I've never heard this term used before. In fact, I couldn't find any other reference to it being called this on-line either. I'm sure it's right - after all Wikipedia wouldn't lie xD but it seems a little odd. All that kept popping up when I searched were the yellow Minions from the movie Despicable Me (and every captioned picture on Facebook it seems). Now I haven't seen this movie, but from what I've read it sounds like a bit of an Illuminati party. It's made by a production company called Illumination Entertainment and the plot centres on supervillains who steal the Great Pyramid of Giza, and try to shrink and steal the Moon! In fact, it's made me wonder if the name "Yellow Minion" has been put on Wikipedia as some sort of practical joke to lull the likes of me into formulating some Minions-based conspiracy theory about it all. Minions are small, yellow creatures who have existed since the beginning of time, evolving from single-celled organisms into beings who have only one purpose: to serve history's most despicable masters. After accidentally destroying all their masters, including a T. Rex, Genghis Khan, Napoleon and Dracula, they decide to isolate themselves from the world and start a new life in Antarctica. Hmm... I think I've just been subconsciously manipulated into promoting a film I've never even seen ..maybe I should just go and watch the damn movie. Luckily though I only have one more thing to share. 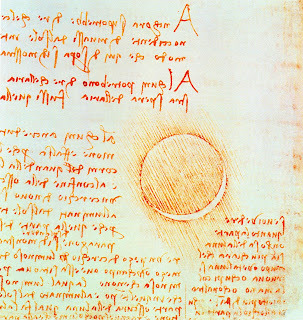 This time a picture from the notebooks of Leonardo da Vinci, that shows the moon illuminated, in part, by light from the earth. 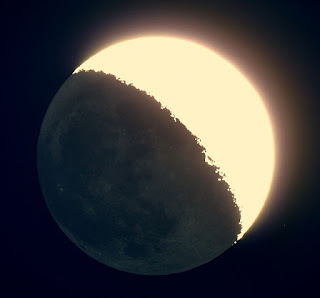 This phenomena is called Earthshine. When there's a crescent moon on the horizon a ghostly image of the moon can be seen filling the rest of the circle. This part of the moon is dimly illuminated by reflected light from the earth. It turns out Leonardo understood this long before anyone else. 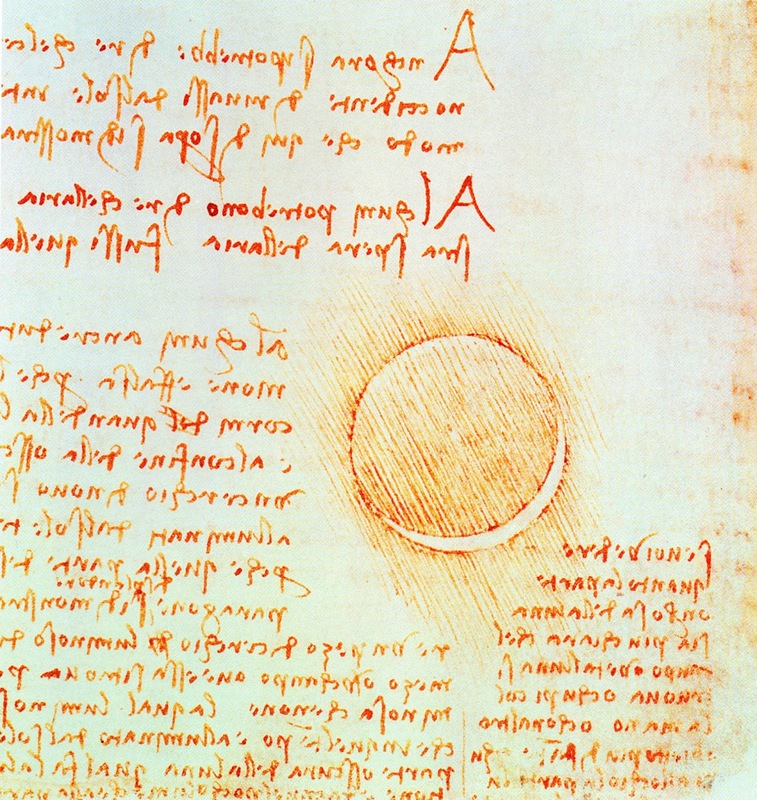 It's interesting to us firstly because, yet again, it shows how truly brilliant Leonardo was, but also because it shows he was thinking in terms of planetary bodies at that time. In fact, interestingly, he actually thought that there might be water on the moons surface. Your blog posts are more interesting and informative. Maps of the world are either physical or political. Physical maps show the mountains, forests or the type of soil a place has whereas, political maps show the territory or borders of a place.